t*rexes and tiaras: Tuesday Titles 157..
A little while ago (I think it was the start of May), I took part in a book swap, arranged by Gwen and Alex. 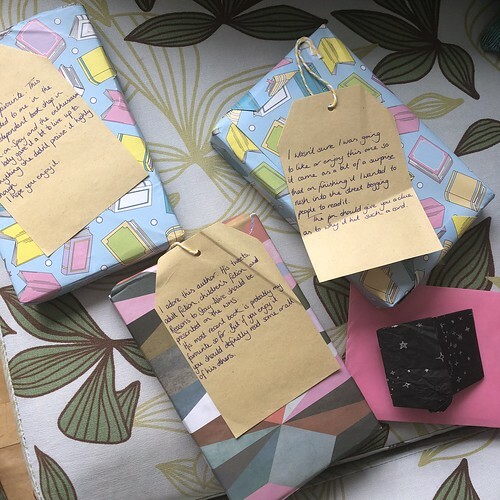 We got paired up and sent over books which we'd enjoyed to our fellow readers. 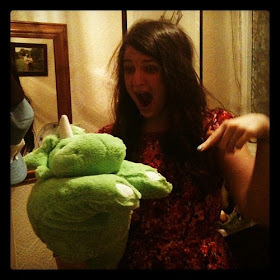 Here's the parcel I received from my sender, Sarah, and a little confession... I'd planned to read all of these and then do a little post with a review of all three. But, lately things are getting rather hectic and so far I've only managed to read my first.. I have to admit, I was pleased when I unwrapped this title as it's one I've heard a lot about over recent months. Sooo many people seem to have read and raved about it and frankly, I was intrigued. Right from the start, Eleanor draws me in with her introverted personality and her overwhelming sense of loneliness. She's the misfit every office worker can picture - that one person nobody seems to know much about, who avoids social interactions wherever possible. Eleanor's home life consists of routine grocery shopping, two bottles of vodka per night and weekly phonecalls with Mummy. 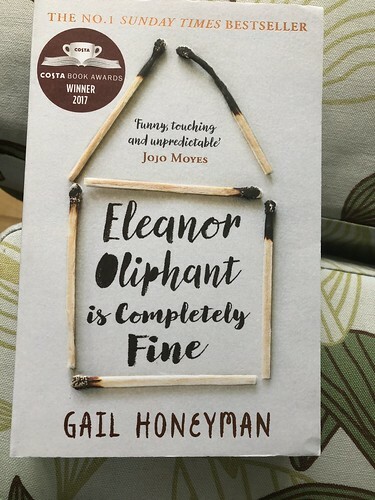 Eleanor seems content with her life as it is, until one day she sees the object of her affections; a pop star. 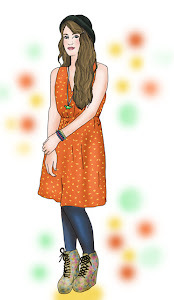 She imagines a life and a future with him, much different to how her current life goes and sets about making some changes - new clothes, hair and a makeover - in the hope that she will be noticed. Towards the end of the book, there's a twist which I felt was a little superfluous, but that seems to be the way of recent fiction. I'm not spoiling anything by saying that things change for Eleanor. 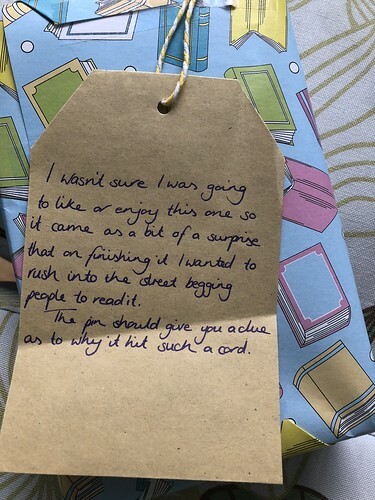 I, like Sarah's parcel tag says, also wasn't sure I was going to like this one- I just never seem to be on the same wavelength as those high-popularity award winning titles. But, enjoy it I did. I wouldn't rush out and a buy a copy for everyone I know, but I didn't hate it. I'd say it's somewhere in the middle, for me. If I see it in a charity shop, I'd probably like to give this a go! It seems, from your description, a bit Devil Wears Prada but I'd like to know what the twist is now!